Working class voices are often underrepresented in poetry. 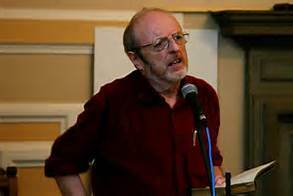 James Foley of the International Socialist Group interviews Rab Wilson, a pioneering voice in contemporary Scottish poetry, who writes in the Lallans Scots dialect to narrate the working life of miners and rural labourers. Rab Wilson has established himself as one of Scottish poetry’s unique voices. Writing – and speaking – in Lallans Scots, his rhymes reflect on the social effects of deindustrialisation through memories of the harsh conditions – and the banter – of rural Ayrshire’s pit life. 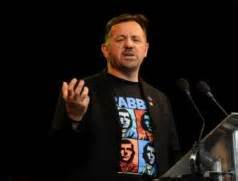 His poetry, he says, is a form of social revolt: although he has gained respectability as the Dumfries and Galloway Arts Association’s “Robert Burns Reading Fellow in Reading Scots”, he urges poets to “bite the hand that feeds them”. Rab took an apprenticeship with the National Coal Board, and lived through the Miners’ Strike of 1984-5. He started writing verses in chalk on the shaft walls, “just ripping the piss…folk in the pits were always writing daft rhymes to wind each other up”. He has subsequently worked as a psychiatric nurse, and today lives in a very respectable bungalow on the outskirts of town overlooking a new windfarm development. But if this sounds like embourgeoisement and adaptation to post-Thatcherite Britain, you’d be dead wrong.